> on the outside, could possibly cover an opening. It might be, although it's very deep inside. 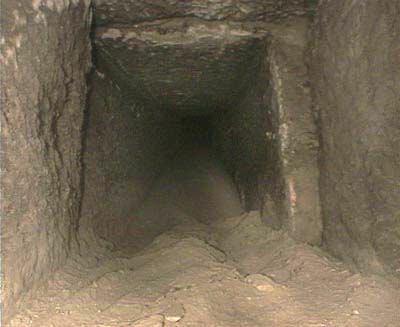 The air shafts only have fine sand deposits below the shift fractures. If it's a super special imported sand even from only a few km away, how does that get transported to the p'mid and then find its way into a deep internal cavity? Edited 1 time(s). Last edit at 14-Dec-16 11:52 by Jon Ellison.